I saw the light at Ellis Park in Danville last weekend. Actually, more than a million of them. My first Winterland Holiday Light Show experience made me gasp and gawk as I drove through Ellis Park, wide-eyed and amazed. While slowly meandering through the stunning drive-through light presentation, I wondered how I could realistically see everything the Winterland Holiday Light Show had to offer. There were glowing lights left, right, up in the air and straight ahead. Maybe if I quickly glanced in all directions during the entire loop of the Danville park, I&apos;d see all the creative displays. Not a chance. I ended up touring Ellis Park three times, and I&apos;m still not sure I took in everything. I saw Santa golfing, with a lighted ball accelerating down the green and into the hole. I witnessed Santa and his reindeer flying a sleigh high into the trees and out of sight. I marveled at a firefighter climbing a tall ladder. There was so much more, such as depictions of fishing and ice skating scenes, a Western-themed campfire landscape, owls and other animals, and even a Mayberry Cafe display. Portions of the Winterland Holiday Light Show are animated by holiday music and include impressive synchronization. Two of my favorite features were tunnels on each side of the park, including one tunnel that wouldn&apos;t light up until your car was centered under it, creating a wonderful surprise. I appreciated the option to exit the show whenever I wanted, enabling me to circle the grounds more than once. I can see why this has become such a holiday tradition in Hendricks County. After experiencing it myself, I now realize it is a must-see family attraction for locals and visitors alike. But the show, which runs nightly through Dec. 24, boasts so much more. 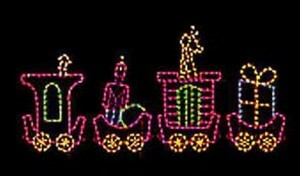 A Santa Claus House for children is offered Fridays through Sundays at the train station inside the Winterland Holiday Light Show. For $5, kids can get their picture taken with Santa and drink hot chocolate, courtesy of the Business Professionals of America students at Danville Community High School. Paws for Claus is from 6 to 8 p.m. Dec. 6 and 13, when you can bring your dog or cat for pictures with Santa. 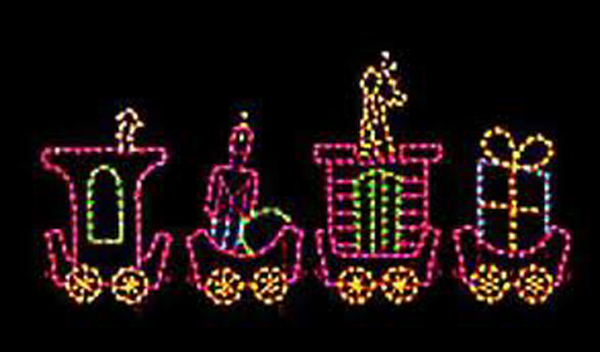 The Winterland Holiday Light Show – presented by the Greater Danville Chamber of Commerce and Danville Parks and Recreation – runs 6 to 9 p.m. Sundays through Thursdays and 6 to 10 p.m. Fridays and Saturdays. The cost is $8 per carload, $5 with a coupon. Bring a bag of nonperishable food items on Wednesdays to get a discounted rate of $3. Food will be donated to a local food pantry. When you put it altogether, there really are more than a million reasons to attend this awesome show.